Novo Nordisk’s long-acting insulin Tresiba is set to gain new hypoglycaemia prevention claims in Europe, giving it an advantage over Sanofi’s top-selling Lantus. Europe’s CHMP committee has just recommended approval for label changes, which Novo will use in its battle to maximise market share in long-acting insulins. Its DEVOTE study has proven the cardiac safety of Tresiba, and has also generated some highly useful data on reduction of ‘hypos’ that can be so dangerous to diabetes patients. 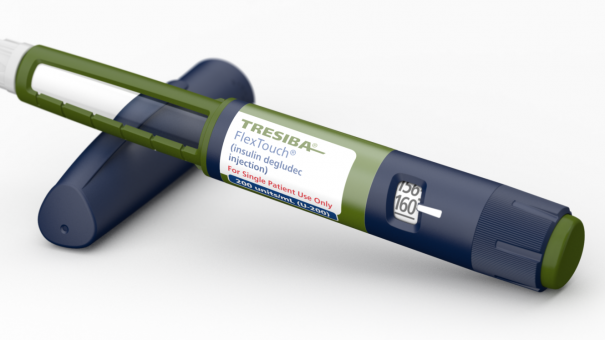 DEVOTE showed Tresiba was on a par with Lantus in terms of cardiovascular benefit, but also showed a 40% overall rate reduction in hypoglycaemia episodes in patients with type 2 disease. There was also a 53% relative reduction in nocturnal hypoglycaemia in patients treated with Tresiba and overall 27% fewer patients in the Tresiba group experienced an episode of severe hypoglycaemia, and all differences were statistically significant. It’s this data on potentially dangerous and frightening ‘hypos’ that is proving so useful to Novo Nordisk. In particular, it will give Tresiba an edge over Lantus in a highly competitive market, where biosimilars are driving down prices of Sanofi’s drug. Tresiba was approved by the FDA in 2015 on the basis of top-line results from DEVOTE and Novo has already applied to get the hypoglycaemia data included on the drug’s US label. Novo’s chief science officer told pharmaphorum earlier this year that the hypoglycaemia data will be key to maintaining Tresiba’s premium price compared with Lantus in the US andother markets. “It is very difficult politically to ask for more money. [Tresiba] is more expensive but we feel justified based on the hypoglycaemia benefits alone – if you add on other benefits such as quality of life you can accommodate that price premium,” said Mads Krogsgaard Thomsen at the American Diabetes Association conference earlier this year. Global sales of Tresiba increased by 155% to DKK 3.7 billion ($584 million) in the first half of 2017 – still far behind Lantus’ $2.84 billion for the same period, even as it declined 16%. Novo is gunning for Lantus with another head-to-head trial, SWITCH. As its name suggests, this studies patients on Lantus and Tresiba, and then switches them over to the other treatment. Data from this trial (in both type 1 and type 2 patients) is currently with the FDA, and a decision is expected by the end of Q1 2018. In a separate development the FDA approved Fiasp (fast-acting insulin aspart), for treatment of adults with diabetes, based on clinical trials that demonstrated benefits for people in need of improved overall glucose control. Fiasp is a formulation of insulin aspart (NovoLog) developed with the aim of obtaining pharmacokinetic and pharmacodynamic properties that more closely match the natural physiological insulin mealtime response of a person without diabetes. Novo has added vitamin B3 (niacinamide) to increase absorption speed and the naturally occurring amino acid L-arginine for stability. In clinical trials Fiasp demonstrated clinically relevant improvement in long-term glucose level (HbA1c). These results were achieved with a comparable overall rate of severe or blood-sugar confirmed hypoglycaemia, between Fiasp and insulin aspart.